Hiking and Trekking in various parts of the world is definitely one of my favourite outdoor activities to do. It allows you to take in the beautiful surrounding areas at your own pace, see things that you do not normally see while keeping fit at the same time. 3 Would you like to be in our next hiking collaboration? 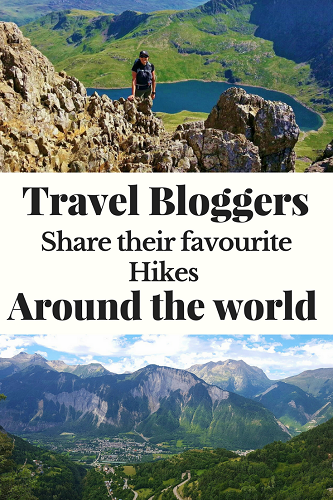 It seems that I am not the only one that thinks this and it was a lot of fun putting together this is collaboration ‘Travel Bloggers Share their favourite Hikes around the world Pt1′. I think I added a few more hikes to my bucket list. 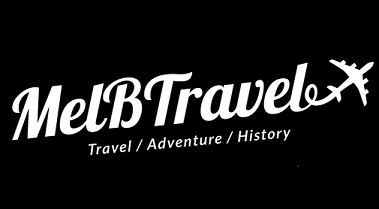 We have easy access to these beautiful places through social media platforms, like Instagram, facebook and youtube, which allows us to connect and learn from other like minded people out there who love hiking and trekking too. 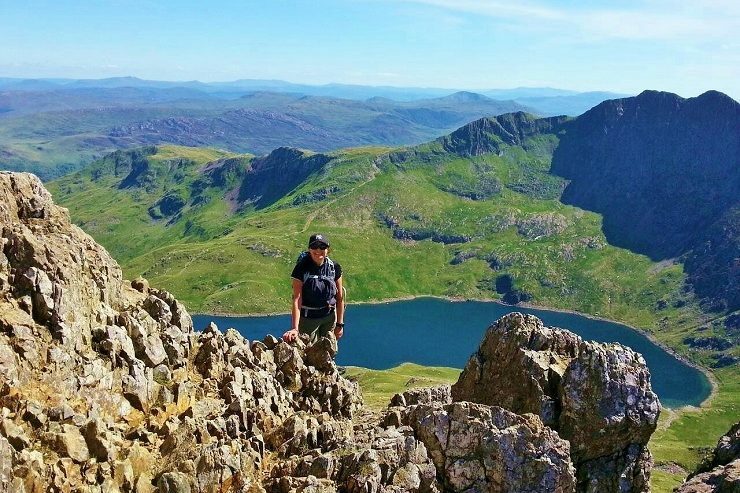 Below is the first part in my collaboration with 6 inspirational travel bloggers who share experiences of their favourite hikes around the world and why. 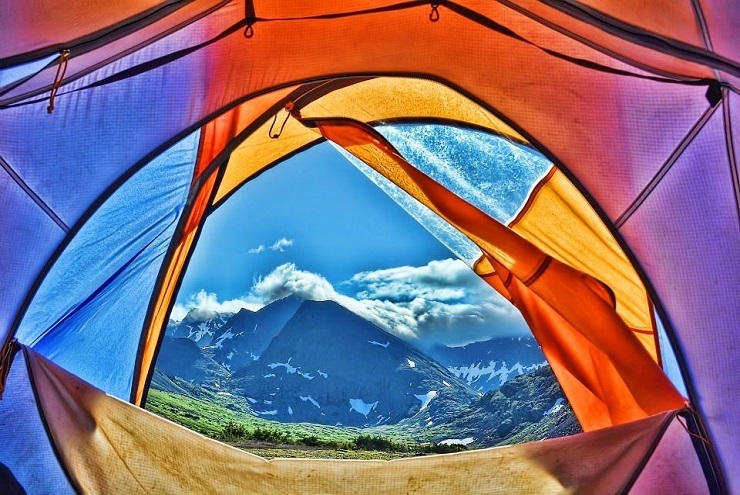 It is time to get inspired for your next hike!!!! The ‘Tour du Mont Blanc’ (TMB) is a challenging but stunning hike around the Mont Blanc massif in Europe. Taking you through three different countries, which is a pretty cool thing to tell people you did on your holiday! I started in France, hiked into Italy (where the sunshine came out) and then into Switzerland. Summer is the best time of year to do the hike. You have a better chance of good weather, although I did experience a bit of rain at the beginning! Each day takes you through different scenery, winding paths and steep climbs. But all around you have the snow topped mountains, brightly coloured alpine flowers and maybe a cheeky marmot if you’re lucky to spot one. 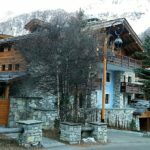 Accommodation along the route is basic, the mountain refuges are full of like-minded walkers and big meals. 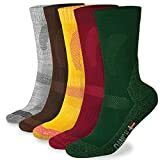 Be prepared for clothes and boots drying everywhere after a rain shower. Most people are carrying their full kit, therefore, it’s important to dry your kit when you have the chance. Completing the 110 miles/170 km with my full backpack over 8 days of walking was a great achievement. And finishing in the pretty town of Chamonix where there are plenty of cafes for a well-deserved beer is an added bonus! We developed a somewhat unexpected love of hiking while backpacking, and nowhere did we enjoy hiking more than in New Zealand. 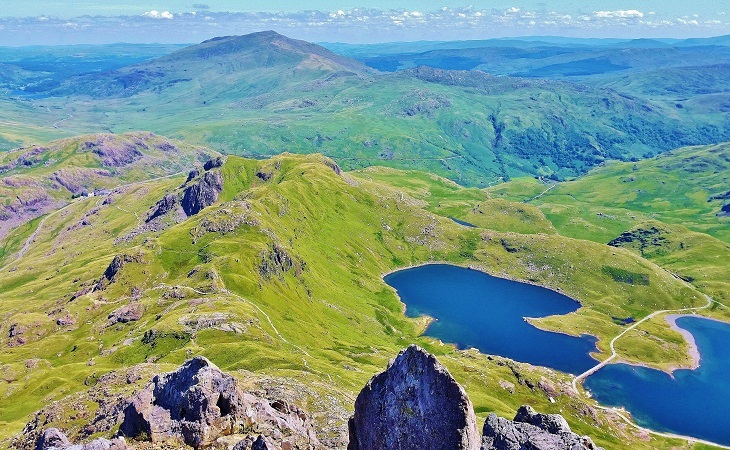 The country is quite literally packed with incredible hiking trails that cover everything from coastal scenery, beautiful forests and rural countryside to active volcanoes, waterfalls and even glaciers! 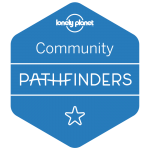 If you’re looking for diverse landscapes, rugged natural beauty and trails to sort all levels of difficulty, this is the place for you. 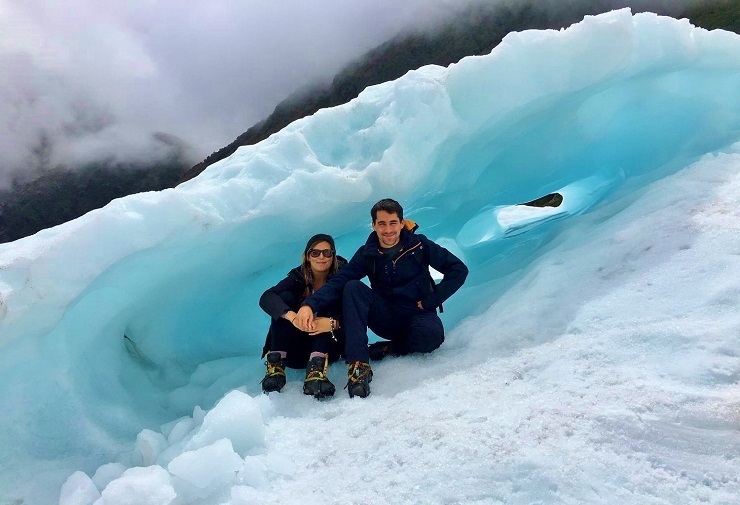 Our all time favourite hiking experience was the day we got to hike on a glacier in New Zealand’s south island. We chose Fox Glacier, a slightly less well trodden location than neighbouring Franz Josef, and opted for a 4-hour helicopter and hiking tour. Having never been in a helicopter before, just reaching the glacier was a pretty awesome adventure! Landing on Fox Glacier, James Bond style, we donned our crampons, grabbed our walking poles and set off on an epic hiking adventure. We saw glacial waterfalls, stunning bright blue ice caves and had an incredible couple of hours exploring and ice hiking. The guides are extremely knowledgeable and safety oriented, cutting out a path across the glacier that’s entirely dependent on the conditions on that particular day meaning that every group gets a unique experience. Whilst heli hiking glaciers isn’t exactly a budget hiking experience, it’s definitely the most exhilarating and memorable day of hiking we’ve enjoyed on our travels and we’d thoroughly recommend trying it if you ever get the opportunity. 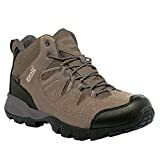 We love hiking and outdoors and always look for a nice hike when travelling. And while we have done lots of beautiful hikes all over the world, my all time favourite hike remains Oeschinensee – Oberbergli – Heuberg trail in Switzerland. This hike combines the best of Switzerland in one place. 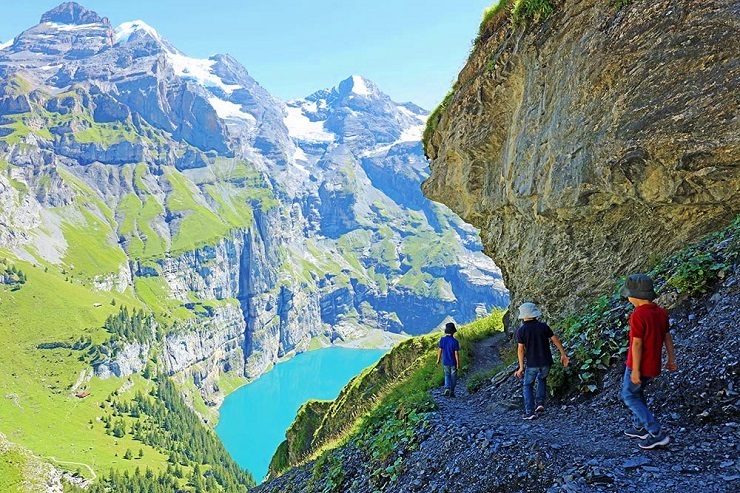 You can expect incredible vistas of Berner Oberland region with phenomenal views over the turquoise Oeschinen Lake and the surrounding mountains pretty much during the entire hike. You will pass waterfalls and mountain streams, do some serious climbing, as well as walk some narrow trails on the edge of the mountain. 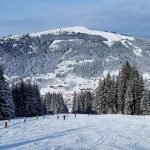 But there are also flat stretches of the trail where you pass a beautiful Alpine meadow with Swiss cows peacefully grazing obliviously to the fact that they are surrounded by some of the best views in the world. 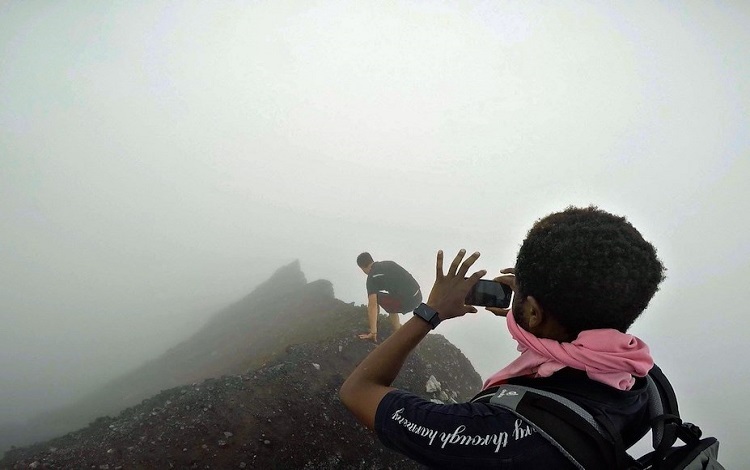 While not for the faint of heart, hiking Volcan Concepcion on Nicaragua’s Ometepe Island is an unforgettable experience. It’s about 10 hours round trip, with the journey taking you through five distinct ecosystems. Literally every hour or so the scenery completely changes, from howler white-throated capuchin monkeys toward the bottom to Mars-like insects showing off their neon yellow zebra stripes as they flew by at the top. Outfitted with an oversized backpack, a trusty map and enough food for 3-days of hiking, I set out along the 28-mile Kesugi Ridge Trail in Denali State Park, Alaska. Although I spent the entire first day and night with wide-eyes and open ears in complete fear that a grizzly bear was going to eat me, the Kesugi Ridge Trail turned out to be one of the most beautiful and unforgettable hikes I could have ever taken in Alaska. Or really anywhere! The hike is rated as ‘moderate’, although it does begin with a 2,000-foot ascent to the top of the ridgeline. It’s also a well-marked and easy to navigate the trail, which makes it perfect for anyone hiking solo. Once above the trees and on the ridgeline, the landscape opens up to a picturesque Alpine tundra. But what makes this hike truly unforgettable is that the trail sits in the shadow of Mt. Denali, the tallest mountain in North America, leaving incredible views! There are so many hikes to do in Alaska, but the Kesugi Ridge Trail is considered one of the best in Alaska, and shouldn’t be missed! Getting There: The closest city to stock up on supplies in is Talkeetna. Begin the hike from the Coal Creek trailhead at Alaska Highway George Parks Highway mile 164, and end at Byers Lake trailhead at mile 147. You can either hitch back to your car (many hikers do this in Alaska) at the Coal Creek Trailhead, or you can arrange a shuttle. Travel to a whole new world by venturing through the desert swept caverns of the Zion National. Here you traverse to down to the Virgin River, revelling in the consequence of thousands of years work carving slot caverns through the Colorado Plateau. The result is a sea of vibrant red rocks waving up through the skies as you hike through the river. 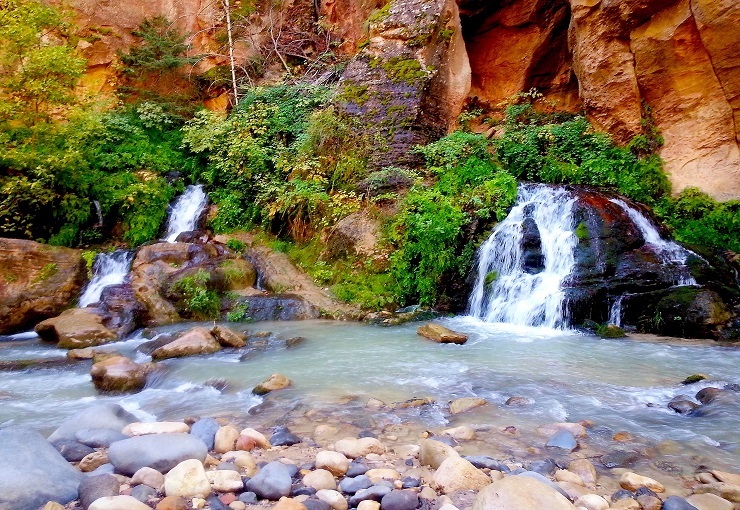 For the true gem of the region, head to the North Fork of the Virgin River, known as the Zion Narrows. Here you can approach the slot canyons from the bottom or the top. The bottom approach is a day hike taking you to the meat of the canyons, revealing some of the most scenic views. The infamous two-day top down backpacking hike requires a permit, as well as favourable weather conditions. Here you can take trek the full 16-mile length of the Narrows. You camp overnight at one of the picturesque campsites before encountering the mystical – and iconic – slot canyons on day two. Flash floods pose a serious threat in the canyon, making this trail extremely weather dependent. To shuttle to the top of the Narrows, you’ll hire one of the private outfitters. They work hand in hand with the park rangers and the forest service to monitor weather conditions, prioritizing hikers safety. Regardless if you approach from the top or the bottom, the Narrows’s red rock display will surely become one of the most stunning hikes you ever do. 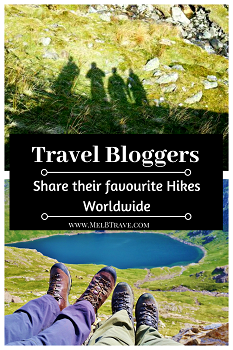 Thank you for reading this post ‘Travel Bloggers Share their favourite Hikes around the world Pt1′ and for the lovely ladies who have contributed to this hiking collaboration post. I hope it helped you to decide on what hiking adventure next to take. 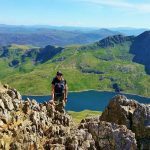 Don’t forget you can also check out Travel Bloggers Share their favourite Hikes around the world Pt2, for more inspiration or ideas for hiking routes by bloggers. Do you have a favourite place to hike in the world, I would love to hear all about it and share in our next collaboration? Just comment below or simply fill out the Contact Form on my contact page. We were literally in Zion last week. That is a stunning place but, having lived in Arizona for so long, what piques my interest TMB. Hiking through that alps and seeing small villages along the way just seems magical to an entirely new level. We love this series. I really want to go to Zion it is high up on my bucket list of places to visit. I also would love to visit Arizona, when I make it there you guys can show me some hiking routes 🙂 Thank you in regards to the series too. Wow, these are some really impressive hiking places! As someone who lives in Switzerland I can of course totally agree to these tracks there, it is simply amazing to hike there but also the other ones seem to be incredible. Especially the Heli Hiking Glaciers in New Zealand look very exciting to me, since New Zealand is anyway still on my bucket list. Really great impressions and beautiful photos in this collection here! Thank you, I love Switzerland and I just go back from there. You live is such a beautiful country. Where are you from, you have a hiking route you want to share? Loving all these hiking ideas, my hiking bucketlist has just grown. I also love the photos. Can’t wait to see the next collobration you put together. Don’t worry, my hiking route bucketlist also gotten bigger after this post. Now I just need to win the lotto!! I am a huge fan of hiking also & there are definitely some great routes here. Hiking around the Mont Blanc massif into 3 different counties sounds like my sort of thing. I wouldn’t mind doing that Mont Blanc massif as well, it looks so pretty in summer. Such beautiful hiking photos! I’m especially impressed with the TMB and the Heuberg trail in Switzerland. Make me want to grab my backpack and hit the road right now! If I were a hiker, I would have a difficult time picking my most favorite trail out of these. All of them offer fabulous scenic views and each is more tempting than the previous. When I was putting this together, I kept adding to my personal list because I could not choose. I love hiking but I never hike in such a huge mountains! I would love to do that hike around the Mont Blanc to see France, Italy and Switzerland ! What an adventure! The one in New Zealand seems amazing as well! I am just not so sure about that Volcan Concepcion on Nicaragua’s Ometepe Island! Looks a bit dangerous 🙂 Great list ! in Bangladesh Chittagong hill tracts comprising three major fascinating districts – one is Khagrachari hill district has distinctive value for its cloud hills, sunrise / sunset view point, waterfalls and cave around Sajek and Khagrachari favorite by local travelers. 2nd district is Rangamati is spectacularly famous for its man made Asia largest hillside lake where visitors boating exploring several attractive places and waterfalls. 3rd hill district head is Bandarban has numerous place to adventure through off the beaten track and 3 highest peak for trekking experience and learning about the indigenous unique culture those has own language, rites, rituals and cultural pattern. Bandarban is heaven for photographers and cultural hikers surrounded by river scenic beauty, waterfalls stream, rocks, misty mountains and cloudy hills always welcoming by hospitable friendliest indigenous people to their lands ! Wow thanks for sharing these amazing hiking routes that sound amazing and definitely going to look them up and check it out. These all sound like great experiences but I’m particularly intrigued by the heli hike – that really is one for the bucket list! This is an amazing collaborations post. I love hiking and trekking and when I saw this post, I immediately thought of Himalayas. Although there are no posts regarding Himalayas here, it surely is amazing especially the Alaska part. Awesome, thanks for this! Funny you mention the Himalayas, I went there about 10years ago and it is what made me fall in love with hiking and trekking. Every time, someone tells me a new route I add it straight to the list. Stunning photos!! I didn’t get to go on much of a hike this year in North Carolina, but this post has inspired me to purpose a hiking trip next year! Don’t worry Tamie, I also added a few more hikes to my list to when putting this together. You hike in North Carolina that sounds really interesting. 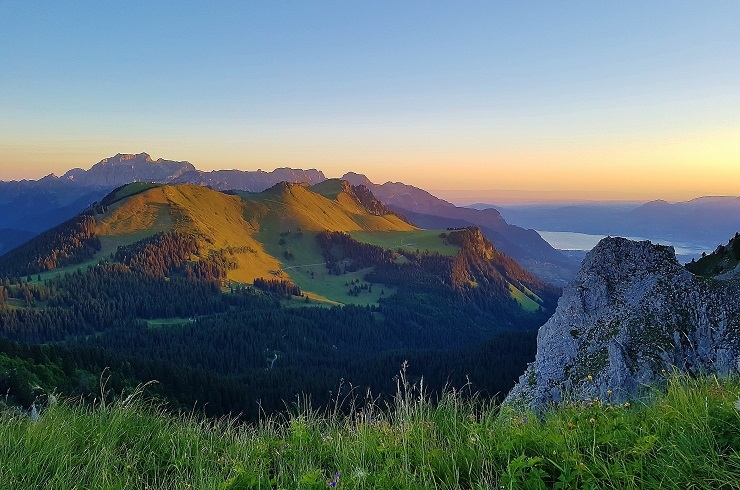 The Heuberg Trail in Switzerland looks wonderful! I’d love to attempt to do one of these, but think I’m not active enough! One of my dream destinations is to go to Ometepe in Nicaragua one day; maybe I’ll try my hand at the hike at Volcan Concepcion! Ometepe in Nicaragua sounds intriguing I must look that one up myself. The hike I completed in Morgnis Switzerland is easy and super pretty. I am so happy I stumbled upon this article, for I have been planning to travel to Southern Europe to go on a hike! Your article really made me want to book my trip NOW. The Oeschinensee – Oberbergli – Heuberg trail in Switzerland looks amazing, and as I’ve I’ve previously hiked the mountains in Switzerland / Austria I know that they offer the ultimate experience. Even if the trails are not that particular difficult in this region, they are still magnificent nevertheless. I am glad that you have stumbled upon it as well 🙂 I love hiking too and your trip sounds exciting and amazing. You will have to let me know who your hiking trip goes and good luck. I think this is a fun list to see! I live in Salt Lake City and am close to so many amazing hikes, even some that are more my level. I’d love to do these, but at a slower pace, as I’m not the best hiker. Love it! Thank you it was a fun list to put together, I can’t wait to do the next one. The problem is that I keep adding to my own list 🙂 I have never been to Salt Lake city but it definitely has been on my bucket list for ages. I am not usually someone to go for a hike as my first choice of activity. But I am a nature lover so I couldn’t resist all the greens and beautiful landscape. The glacier hiking in New Zealand looks so promising and so is that Switzerland hike too! That glacier hiking sounded amazing to me especially as you fly and walk on the glacier. What a cool way to see everything as well. Hiking is a great way to be one with nature and explore its wonder. These are some of the awe-inspiring and breathtaking trails we would love to explore someday. 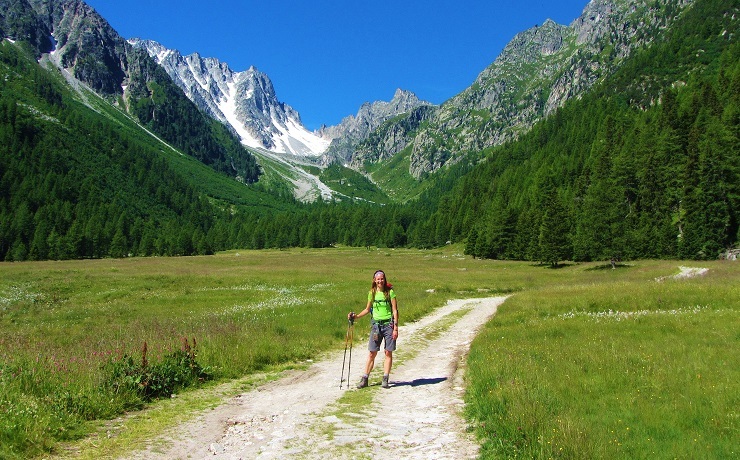 The Montblanc hike sounds amazing offering best of France, Italy and the unbeatable Swiss. New Zealand is yet another destination on our list with so many picturesque landscapes worth a visit. Whoa! That’s one awesome list! A hike that goes across 3 different countries? Mont Blanc is definitely a must do I guess! Zion Narrows too looks stunning! Zion Narrows is definitely added to my bucket list for the future. My list has grown so much now. Wow, this is an amazing series, congrats! So many of these I wish to try, I’m a big trekking fan too. Next big one is Killimanjiro in December. I have summit Mt Killingijaro on my birthday a could of years ago and I have written tips on completing the challenge. I wish you all the best of luck with it. All these photos look amazing and the views are breathtaking! I have only climbed one mountain in my life and it was Mount Kinabalu in Malaysia. It was hard work and my whole body was so sore afterwards, but it was totally worth it 🙂 Looking at all these photos makes me want to hike again! I will have to look up Mount Kinabalu in Malaysia, as I head over that way a bit to see friends. And thank you, I have to give credit to all the lovely ladies that gave me their pictures for the post. These are some great hiking experiences. I simply can’t get over of these super stunning pictures. My favorite from this list would be Mont Blanc massif. It’s so picturesque. Great post. I have seen Mont Blanc from so many deferent regions this year, it is such a dominant mountain. Very pretty it is for sure. These all look so amazing I wouldnt even know where to start!! Hopefully ticking the Heli Hiking in New Zealand off early next year. So excited!!! Hiking is such a great thing to do when you’re travelling because it really gives you a different perspective on a place. Oh so many amazing places to hike. I’ve always wanted to hike on a glacier. I really need to do this before they melt away to nothingness. The heli hiking on the glacier is definitely on my list too. Oh my good! Such an amazing list. And while I would personally love to do the glacier hike in New Zealand, Switzerland seems to be a paradise for hikers! I recently came back from Switzerland hiking and I loved it. It is definitely one of my favourite places to go. There are some very interesting hikes here, I like the sound of New Zealand and Switzerland. Taking a helicopter onto a glacier New Zealand Bond style sounds like a once in a lifetime experience. I have seen in the movies that New Zealand is so uniquely picturesque too. “I haven’t everywhere but it is on my list” – it was the first thing I thought after reading your post! I love the list. However, I only hiked some trails around Mont Blanc. 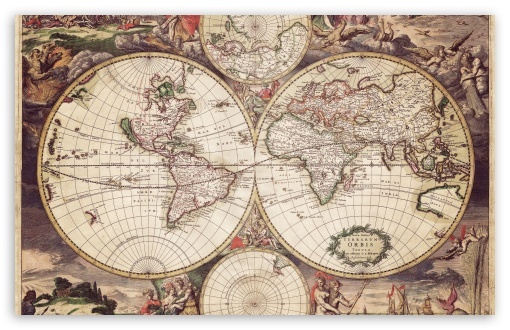 The world is way too big for getting all the trails done, so we have to be selective about the destinations! Wow, all of these places are absolutely stunning! Sadly I haven’t been on any epic hikes, just a few local ones that aren’t anything to write home about. Not so sure I would want to hike Nicaragua’s Ometepe Island though, I don’t think my heart could take it haha. I’m not too fit but I do enjoy a hike, especially for the views and have done some interesting ones across Europe and in Utah. Mont Blanc massif has actually been on my bucket list for a while, the scenery is breathtaking! I want to do some hikes in Utah it looks like such a beautiful area. 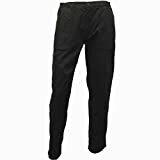 I only recently got into hiking and in many way it has changed my life. I used to think I was a bit of a city girl but after spending a few weeks in Patagonia I changed my mind on that. I’ve now got a few more on my list the next time I’m in NZ. I have to admit when I started hiking that it changed my life too. I would love to go Patagonia and hike it is definitely a bucket-list item. I love hiking too and the heli hiking in New Zealand is definitely high on the list. I love hiking so thank you so much for sharing this. There are some really inspiring ones. I am keen to go to Alaska so Kesugi Ridge Trail in Denali State Park is one for me. I recently climbed Trolltunga which was a really hard climb however the queue at the top to walk out on the trolls tounge was a let down. Who would have thought so many people would be there that I would have to queue for an hour! I would love to do a hike in Alaska that sounds amazing and I have not heard of Trolltunga but I am definitely going to look it up. I just added the whole bunch of ‘have-to-do’ after reading this. Great selection, Melissa, and thanks for including us! Thank you for contributing to the piece, your Swiss suggestion is definitely on my list. Hiking is something I try to squeeze in anywhere I can. I did some hiking when I was in Santiago de Cuba that was absolutely beautiful. I love seeing the natural beauty of a place. It looks like I’ll need to add these trails to my list. I never thought about hiking in Cuba but it sounds like a great idea. I feel so small after reading about these bloggers. One day, I hope to just pack my mobile phone and trek to an ancient site that is more than 8,000 year-old. Lucky enough to have hiked in New Zealand & Switzerland but these photos are so beautiful!! 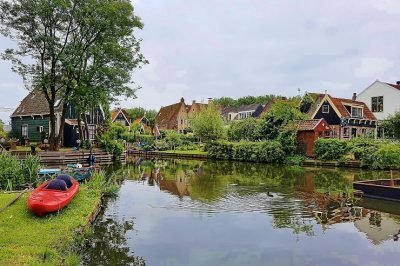 Find it such a rewarding experience and a definite highlight of any trip – great post and looking forward to part 2! I have hiked in Switzerland but not New Zealand it is definitely a place I would loved to do it in. Part 2 is already out and I am currently on Part 3 if you want to join? These all look and sound amazing! 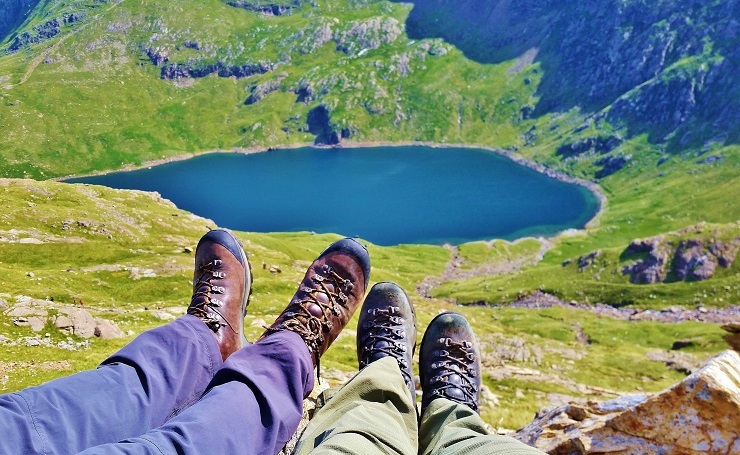 I love hiking – especially long-distance – so I’ll add these to my bucket list!! Me to I am a huge hiking fan and definitely keen to add to my own bucklist. These look absolutely stunning! I really detest hiking and always swear it off while doing it but after reaching the summit- sweet lord, it’s just so worth it! I’ve got a lot of favourites here in Canada, but they’re never multi-day assaults, hats off to the lady who conquered le massif- although all the women here are really brave! I do a bit of swearing when I am hiking too sometimes and wander why I like it so much but then I reach the top and remember exactly why. Then longest hike for me was nearly two weeks and I have to admit it was amazing and I went away feeling great. Totally inspired to go to Switzerland for the hiking alone!! It’s an alpinist’s dream (anywhere in the Alps, frankly). Love this collab! Thanks so much, Dina, I love all these hiking places as well. Definitely, a dream to head to some of them. Great Post. Thanks for sharing such a nice blog..